Mark-My-Time is the kind of simple, brilliant product you’ll wish you’d thought of first. A small timer mounted atop a brightly-colored, durable plastic bookmark can be set to count either up or down, helping kids monitor their reading times in a fun way. The timer can record up to 100 hours of reading before it is reset. An additional feature, a 60-second countdown/up clock, is useful for fluency exercises. 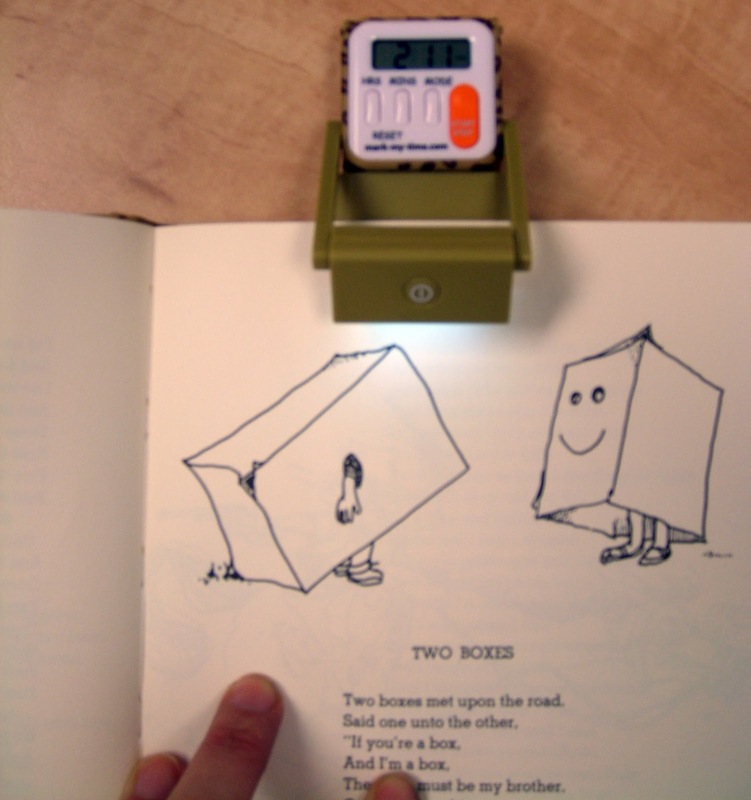 The current edition of Mark-My-Time also includes small reading lights mounted above the timer for reading on road trips or in bed. These bookmarks are great tools for readers who need a bit of encouragement to stick with it for a few more minutes. It can be intensely gratifying for students to realize how much time they’ve spent reading over the course of a few days or weeks. Mark-My-Time is fairly easy to use, but students will likely benefit from a grown-up’s help and direction during their first few uses before they get the hang of it. Some children may find the timer distracting and limit their focus to the numerical display rather than the page, so Mark-My-Time may not be ideal for everyone. As always, The Yellin Center strongly advocates a highly-individualized and research-supported approach to managing children's learning profiles.